Steven Kamajian (Montrose) - Book Appointment Online! The board-certified family practice specialist has spent his 30-plus-year career on the frontlines of health care serving the youngest patients to the oldest. He’s treated people in the traditional hospital setting as well as in skilled nursing facilities and hospice centers. 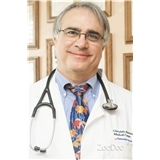 Dr. Kamajian also took his skills to where he considered them most in need, and founded the Westminster Free Clinic. Dr. Kamajian now practices medicine in Montrose, CA and specializes in Family Medicine. Dr. Kamajian is affiliated with Glendale Adventist Medical Center, USC Verdugo Hills Hospital and PIH Health. Extremely friendly staff. Dr. Kamajian was super nice and made me feel very welcomed. He was also from Pennsylvania (my home state) so we got to talk about that a bit too!